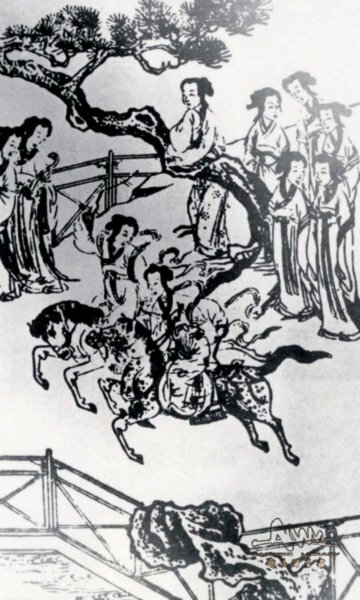 Equestrian sports, including polo, horse racing and performances on horseback, were already in existence during the Han Dynasty (206BC-AD220) and became a favourite sport with the Tang (618-907) and Song (960-1279) courts. During the Ming (1368-1644) and Qing (1644-1911) times, they were quite popular both among the populace and imperial troops. 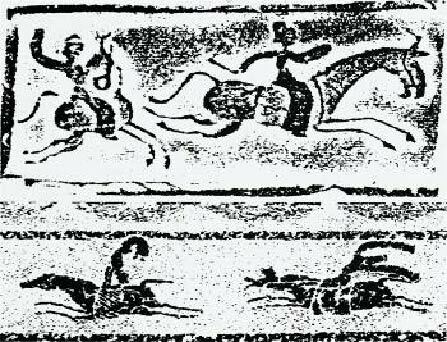 A horse race in a carved Han brick excavated in Zhengzhou, Henan Province. 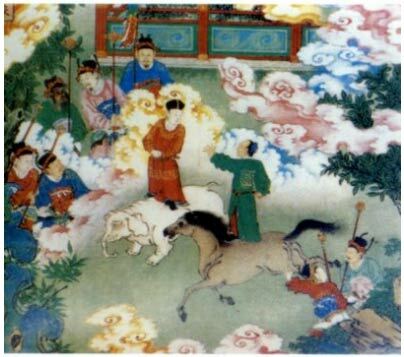 Part of the Ming painting “One Hundred Beauties” shows that horse racing was popular among women a the time. 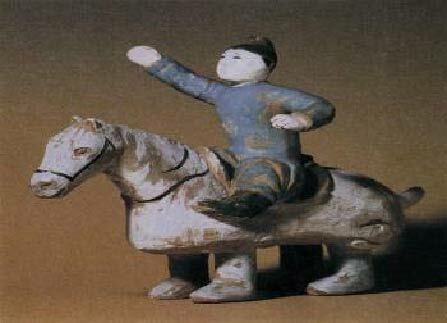 A Tang porcelain figurine excavated in 1960 in Turpan, Xinjiang, showing one riding a horse by two persons. Performances on horse and elephant: A mural at Chongshan Temlpe in Taiyuan ,shanxi Province, built in the Ming Dynasty.